Eamon Wall, musician and song-writer has produced a CD entitled "Song for Liam" in memory of Liam Clancy who suffered from Lung Fibrosis. 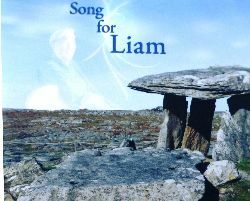 The CD features 2 songs, Song for Liam and Cry of the Burren. The CD is available to purchase for €5. All proceds go to the ILFA.